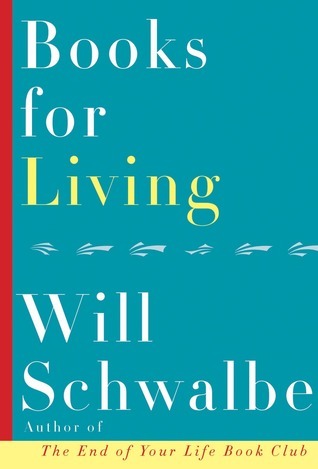 I just picked up Will Schwalbe’s Books for Living a few days ago, and I’ve almost finished it. I highly recommend it for anyone who loves to read. He shares some interesting and sometimes profound thoughts, and I can see it being a book I could pick up and read again, flipping through chapters at random. I love a good book about books and reading. It’s a C paper. No matter what grade I put on it, it’s still a C paper. But I’m happy to give it a B or even an A. In fact, why don’t you just tell me what grade you want when you hand in each paper for the rest of the term and save me the trouble of grading them. Great teachers help us see ourselves in the broadest perspective possible. Mr. Tracy may have wanted to teach me a lesson about my own arrogance, but he certainly wasn’t trying to discourage me: He was trying to get me to see things as they really are. Encouragement comes in many forms, but excessive or unwarranted praise isn’t encouragement. So what does that have to do with thoughts on reading, besides being a passage in a book about reading? Well, because I’ve been beating myself up about not writing reviews of what I’ve been reading. Some people are terrific at reviewing everything, but only a very few write anything worth reading, at least in my opinion. First, everyone’s reading and reviewing the same books. Second, a plot synopsis (sometimes copied directly from the book jacket) followed by a list of pros and cons and a grade or star ranking does nothing for me, but then again neither do “reviews” that basically take five paragraphs to outline a book’s plot (but not the end!) followed by a few sentences about the reviewer’s opinion and a rating. That’s a book report. I’ve been guilty of the latter myself, when I can’t think of what I want to say, or when I’m trying to write a post about a book that was just fine thanks, but really…doesn’t deserve a lot of my time beyond the cursory “That’s worth picking up” or a decent star rating on Goodreads. It’s like this: Some books are Chipotle. It’s good and a lot of people enjoy it, but my god do we need a thousand reviews about a burrito? No. No, we don’t. Anyway, if you’re still with me, I’m going to change gears for a second and talk about something about readers that irritates the ever-living hell out of me. I follow a style blogger who sometimes posts about what she’s reading. Recently, she’s been reading Tana French. If you’ve spent any time here, you know I love Tana French, so no, I’m not objective about this at all. But the thing is, this blogger goes on about how she loves mysteries, but more of the P.D. James or Agatha Christie kind: more plot-driven, more whodoneit/howdoneit and less whydoneit. And that’s all good. We all have our preferences. But then she goes on to complain about how French spends so much time on the detectives and their lives and problems. She’s on her third French volume now and gripe, moan, complain. It takes everything I have not to leave a comment that says, Please, just stop reading them. You are not her audience. The whole point of the Dublin Murder Squad series is the Dublin Murder Squad—not the crimes. It drives me batty when people pick up a type of book they typically don’t care for and then blame the author. It’s one thing to say the writing is bad (in fairness, she hasn’t said this), but it’s another to be all, “I don’t really like books about quilting, so I picked up a book about quilting and oh my god when will the author stop with the quilts.” Quilts are the point. But otherwise, you know, I really enjoy her blog. In other news, I broke my TBR Double Dare pledge for the first time in five years. 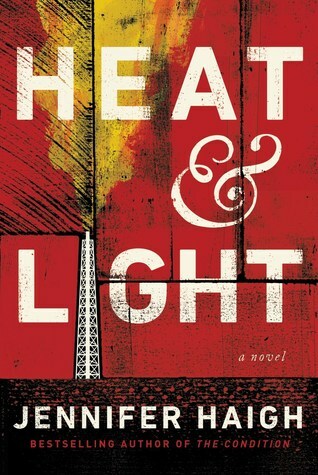 I was scrolling through something somewhere and I came upon a review (not on a blog…I think it was Nancy Pearl) of Jennifer Haigh’s Heat & Light and decided I had to read it right away, so I used some Google Play credit I had and read it in a couple of days. Oh, it was so good. And then I remembered that back in 2010 when I first got my Kindle I had purchased her first novel, Mrs. Kimble, so I read that, too (take that, TBR). Very interesting to read her latest and then her debut; she’s a terrific writer, completely engaging. Another book I read recently that I highly recommend is The Long and Faraway Gone by Lou Berney. It tracks two completely unrelated mysteries in the same city, which shouldn’t work but somehow works beautifully. Place and atmosphere seem to bring everything together, and it’s set in Oklahoma City which just somehow works. That’s it for now. Happy St. Patrick’s Day, and happy weekend! First of all, I love, and I mean, LOVE, when bloggers write about reading and blogging. I spend an inordinate amount of time worrying about my blog too – am I not posting enough? Too often? Too many “meme” post? Blah blah blah. I have to remind myself that reading is not a competition, and blogging shouldn’t be either, although I still don’t know how some people have time to post every other day. What I’ve been thinking lately is that I want to review a book when I’m really excited about it, and if it’s something I’m not that excited about, I’m just gonna skip the review post. Anyway, I laughed out loud about the quilting book example! It’s too bad that someone would keep reading a series wanting it to be something other than it is. Like, find something else to read! Life is short! And that TBR Dare is hard! I tried for the first time last year and I caved in mid February. Laila, me too! There are a handful of bloggers (like you) who I follow on Goodreads, and if I see them give a book four or five stars–even without a review–I check it out. I don’t really need the full review treatment. But I absolutely love it when someone writes about why she picked up a book in the first place, how it related to her life right then (or another time), and what parts resonated. I fully realize that plot summaries with short reviews and “read this not that” posts are exactly what many blog readers want; I’m just not one of them. For a while I wasn’t even reading fast enough to post once a week. Now I am, but then I have to ask myself, is it necessary? The TBR Dare…I had about five seconds of guilt. I’ve done really well with it in the past, but this year I decided to just let it go (cue “Frozen”). Hey! Oh! You redesigned your blog! Did that just happen? Did that not happen? You do not sound crazy re: the blogger who doesn’t love Tana French. I worry about that so much when I’m writing books — I’m always petrified that I’m missing the point of a book and criticizing it for something it wasn’t trying to do in the first place. Jenny, no, didn’t redesign. As for the blogger who doesn’t love Tana French, it didn’t bother me when she mentioned it for the first two books, but by the third I felt like, either stop reading, or just accept that’s the way they’re written. I know that’s persnickety of me, but gah…. As an on-again, off-again freelance reviewer, I’ve read – and written – such a variety of reviews, and it can be an extraordinarily difficult job. Butting heads with editors… I won’t even start. I’ve written long-form and short, for publication or on my blog, and striking the right balance for your audience is crucial. Done well, it’s a fluid discourse on how a book gets under your skin, what impact it’s had in relation to everything else you’ve read. It’s putting the book in context. Or, it’s what an editor tells you to do, if he’s writing the check! So yes, not everyone can write compelling reviews, I wholeheartedly agree. Quality varies wildly. Loved reading your thoughts on Will’s book. If you haven’t read his first – The End of Your Life Bookclub – I recommend it.